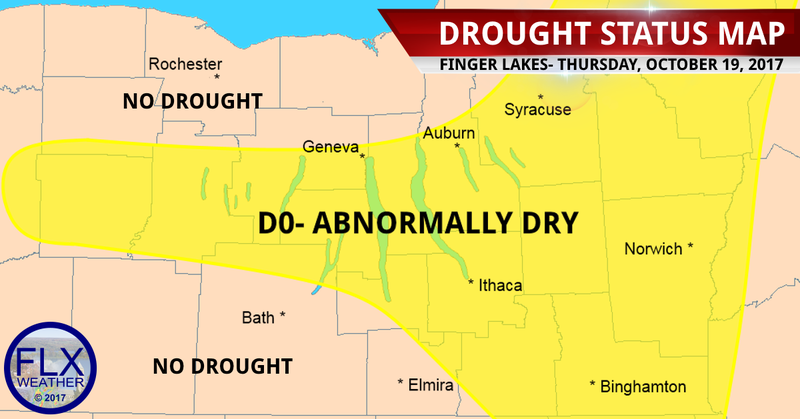 Much of the Finger Lakes is considered to be in the first stages of drought development, according to the latest US Drought Monitor Report. The D0- Abnormally Dry classification was first introduced to the Finger Lakes on September 26, 2017, and expanded to its current bounds a week later on October 3rd. This is the lowest class of drought status on the five-category scale. The 2016 Drought in the Finger Lakes reached D3 or the next-to-most serious drought category. 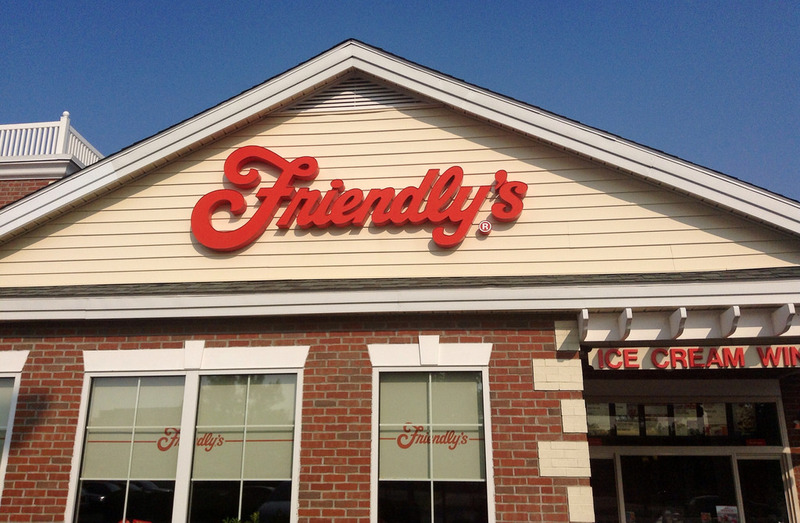 Obviously, we are a long way from a serious drought of that magnitude. The weather continues to be very dry and warm across the Finger Lakes as autumn is very slowly taking hold of the region. The occasional storm system has prevented the drought from seriously taking hold, but precipitation is well below normal. Over the last 90 days, the majority of the Finger Lakes region has seen between 50-75% or 75-90% of the normal rainfall. Ninty days ago was late July, or just after the flash floods that plagued the region earlier this summer. Even taking those heavy rain events into consideration, precipitation for the last 180 days, back to late April, is still slightly below normal.